Holding a strong position amongst the companies serving the Paper Industry of India, we bring forth an exuberant Paper Chemical. We offer complete solutions for Chemicals for Paper Industries. The property of our Paper Industry Chemical is in accordance to contemporary needs of paper industry. 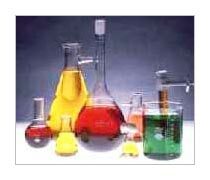 An incomparable range of Pulp Paper Chemical is obtainable from us on very economical rates.